Personal information means identifiable information about you, such as your health information, your name, address, telephone number, email, bank information, payment information, comments posted, and so on and so forth. HIPAA is the Health Insurance Portability and Accountability Act and violating it can cause liability. We cannot accept such liability. 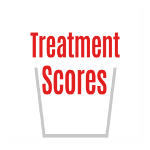 Do not send Treatment Scores, LLC, any doctors, or anyone else associated with Treatment Scores, LLC, your private health information. We cannot accept the liability, because it is risky to share private health information via Email, text, the Internet, or by any other method. You are solely responsible for your health information privacy.